Live Athens, Love Athens. Explore the city with us, discover all its secrets. Reach the Acropolis, the highest point in town, where the history was made. Antiquity is waiting for you. Do you want to explore both the old and the modern Athens? Do you want to walk backward in time, from the present days to the ancient, mythical era? This is your tour! Our ATHENS SIGHTSEEING & ACROPOLIS MUSEUM is a half-day tour that will make you meet the true soul of this city and let you see with your own eyes the passage of time. We will depart from Panathinaikos Stadium, the arena where the first (modern) Olympic Games took place in 1896. From there we will start our walk toward the Acropolis, passing by all the relevant monuments and attractions in Athens. You will see the Roman Temple of Zeus, the National Garden, the Hadrian’s Arc, the St. Paul Church, the Ex Royal Palace, the Tomb of Unknown Soldier, the Russian Orthodox Church and the National Library. Our local passionate guide will tell you everything you need to know about the wonders you will see. Then we will climb the Acropolis, the heart of the ancient Athens. It was the highest point of the city, where sacred things used to lies. 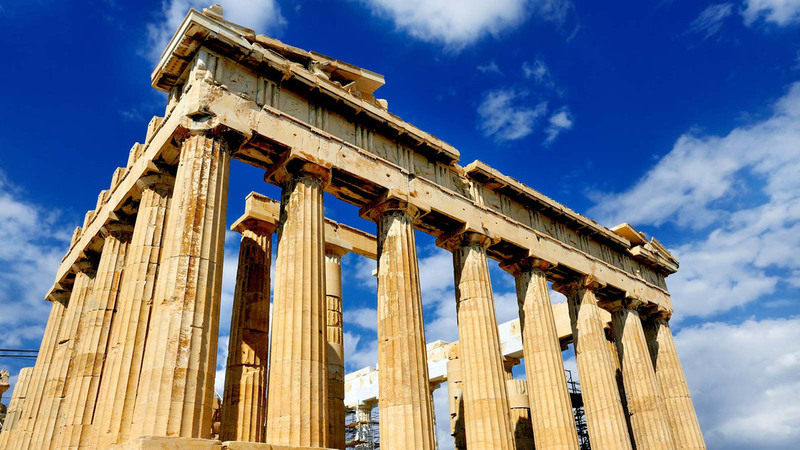 You will explore the ruins of the Temple of Athena Nike, the Parthenon, the Propylaea and the Erechtheion. Our last stop will be at Acropolis Museum, where you are going to see the smaller vestiges of another time from artifacts of everyday life to the statues made during the archaic period. Don’t miss the chance to meet the history! Pick-up and drop off at your hotel. Please contact for more details.